TT and Douglas, both fine artists, planned a wedding as beautiful, private and as refined as their work. 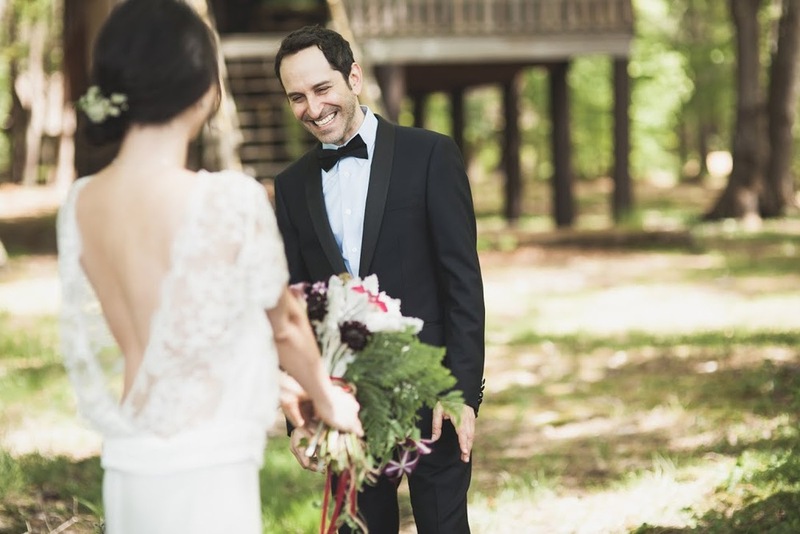 It took place deep in a luscious forest on a warm summer day; their guests all helped build out their venue which added an element of community participation and commitment to their union. We worked hard creating a dress as exceptional as TT. 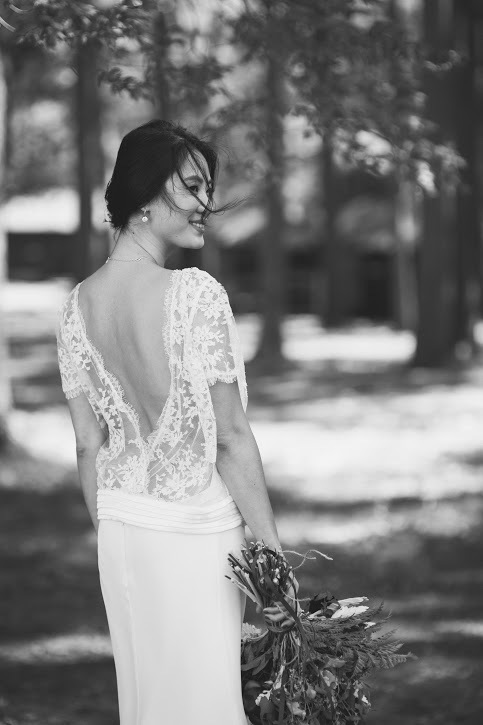 She was adamant about wearing a gown with a beautifully carved out low back covered in exquisite French lace....these photos capture the beauty of her vision fully realized.